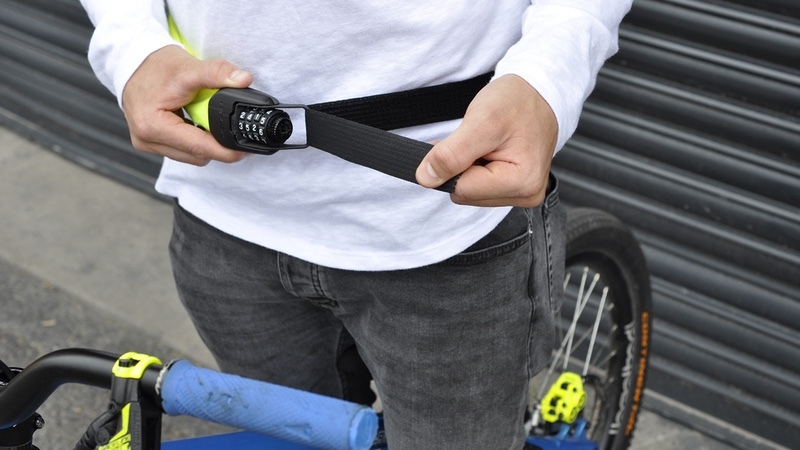 Hiplok, the security brand for cycling and outdoor enthusiasts, has launched the Hiplok SPIN, its first keyless wearable bike lock. The product will be available to buy in February 2019. Born out of the success of the brand’s original award-winning wearable chain locks, the SPIN is the first Hiplok chain to come with an integrated resettable combination lock, requiring no keys. The SPIN sits as Hiplok’s entry level wearable chain lock and features the brand’s patented wearable fastening, which adjusts to fit the waist without being locked to the body. This means that it fits the individual rider and can easily be removed, making it ‘a super safe option for taking a strong chain lock on your ride’. With a 6mm hardened steel chain at its core, yet weighing under 800g, the Hiplok SPIN provides a combination of security and portability. Priced at £34.99 and available in a choice of high-vis neon yellow or all black, the Hiplok SPIN will be on sale in February 2019.